The online gaming industry has grown tremendously over the past recent years and this can only mean good news for players who can now review and pick the best of the lot. One such recent entrant is 7Red Casino, owned by Bluemay Enterprises Ltd. and established in 2010 with a Curacao license. So, how does this relative neophyte stack up against the crowd? 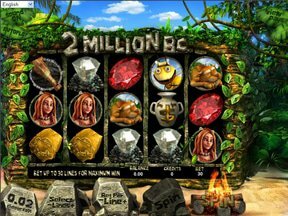 The site is powered by BetSoft Gaming, an industry name that has earned a well-earned reputation for excellent quality in 3D slots. In the spirit of fair play, the site also prides itself in the use Random Number Generators or RNG. No wonder then that the company has announced winning for two times in as many years the Slots Operator of the Year Award. One does not win such an award by having poor customer service, and this site proves that. Multilingual support is available constantly in at least 13 languages. Contact may be made via live chat, email and phone, including a call back for those players logged on to their account. The financial transaction side is also well managed. Security measures like data encryption are in place, and modern technology is optimized in the available deposit and withdrawal options. Another piece of good news is that this portal presently does not impose any withdrawal limit. For those who are extremely picky and prioritize quantity over quality, 7Red Casino's catalogue of just over 75 games may be a bone for contention. However, it can be said that the slightly limited content is well curated. Thus, varied interests, whether for table games like roulette and blackjack or for classic and progressive jackpot slots, are bound to be satisfied with their title offers. There is even a live dealer section where you can immerse yourself in the full action of a real brick and mortar casino without having to leave the comforts of your own home. The marketing promotions and bonuses of 7Red Casino serve their purpose well in enticing its market. Feel welcome as a new player with 100% match up bonus of up to $100. Every player should target to be considered a VIP member because the rewards get better. With this, no deposit goes unrewarded as each earns 10% on the first $500, and 15% thereafter, with gold VIP level which is awarded automatically upon depositing $500 or more. The bonuses do not come with a play through requirement but cannot be withdrawn from the account. With free cash from a referral program, it is now time to not only explore the delights 7Red Casino has to offer, but to bring your friends along too!